This year I took the slow boat towards Christmas and only started really thinking about holiday baking and decorating this past weekend. Friday night we put up our shiny little tinsel tree, drank a few amaretto sours and basked in the glow and shimmer of pink lights and oodles of vintage ornaments. My favorite holiday movie, The Shop Around the Corner, has been watched and my cupboards and fridge is now full of flour, butter, sliced almonds and chocolate. Time to start the all important holiday baking! A couple of years ago, I compiled a mighty list of great holiday baking ideas and gifts and figured I’d provide a compendium to my original list filled with great seasonal treats from 2010 + 2011. And because that older list also included a lovely little gift tag set to print off and use, I figured I’d add another one for the collection! All you need is a PDF reader and a printer. 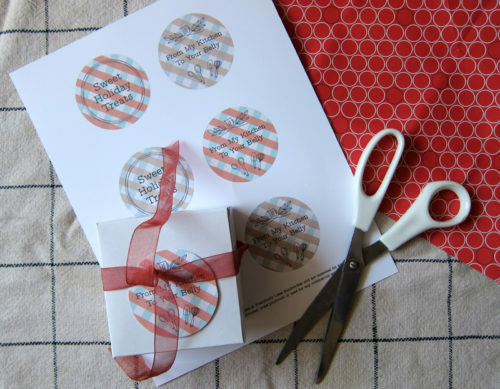 Just download the PDF, print onto card stock and cut out your cheery checked circles! 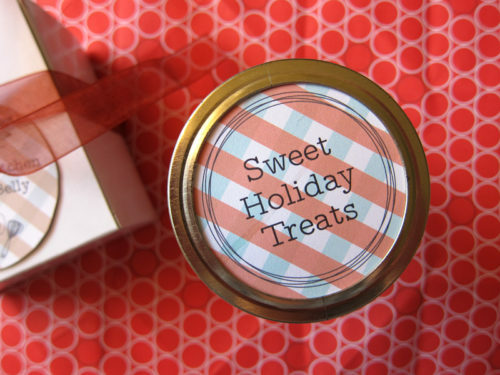 Use them to top mason jars filled with treats, or use a hole punch and tie on some ribbon to tag your edible gift! The design matches the recipe cards in my etsy shop, you know, in case you were curious. Now, onwards with the holiday baking, candy & kitchen book ideas! 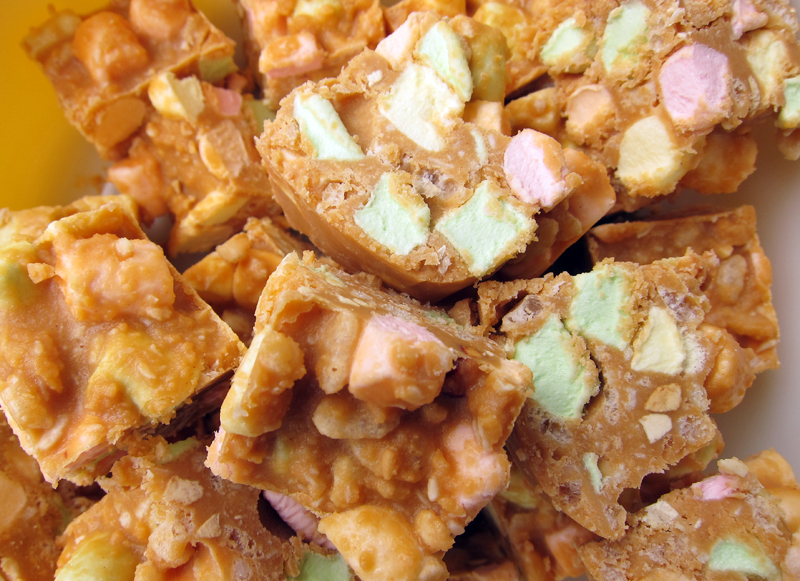 Butterscotch confetti squares – a Canadian classic aka “marshamel”. Butterscotch cashew bars – buttery & delicious. Cranberry lemon squares – tart & festive. Seriously intense cocoa nib brownies – for serious chocolate fanatics! Walnut & cranberry zucchini bread – a favorite! Banana espresso chocolate chip bread – a classic combo of flavours! Coconut lime cake – tart & tropical. Coffee & spice cupcakes – spicy and dark. Candy Cane Crisp Bark – white chocolate, rice crispies & crushed candy canes do Christmas up right! Chocolate coconut almond bites – like little balls of Almond Joy! Last-minute peanut brittle – Today I saw a small box of peanut brittle on sale for $14. It’s a snap to make, so make it yourself! Salted caramel pretzel almond popcorn – what a tasty mouthful! Salty sweet candied peanuts – what’s not to love? 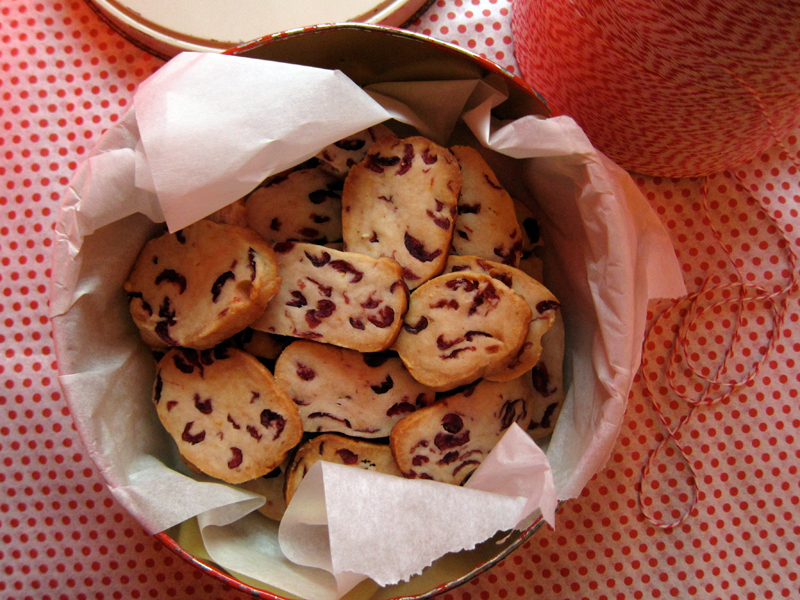 Cranberry rum shortbread cookies – slice and bake & perfect for the holidays! Chocolate puddle cookies – decadent! Salted butterscotch oatmeal cookies – in 2011 I discovered a serious love of butterscotch! Vegan-ish sandwich cookies – like oreos, but better! Bittersweet chocolate cookies – holy moly. Vegan garam masala cookies – like gingerbread, only more interesting. Blood, Bones & Butter: The Inadvertent Education of a Reluctant Chef – Honest, open, no BS memoir. Loved it. Heart of the Artichoke and Other Kitchen Journeys – A gorgeous cookbook that I think is a must in anyone’s collection. Boozehound: On the Trail of the Rare, the Obscure, and the Overrated in Spirits – This book will make you want to drink more (not necessarily a bad thing). 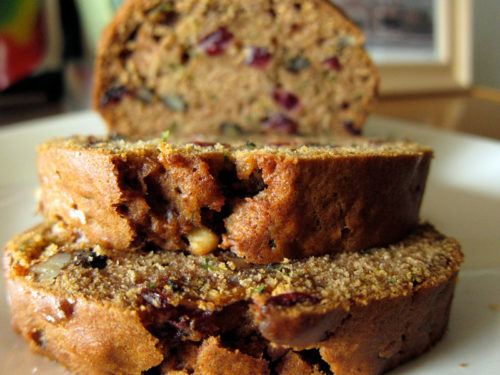 elsewhere: After all this sweetness, maybe you want to curl up with something a bit more healthy. 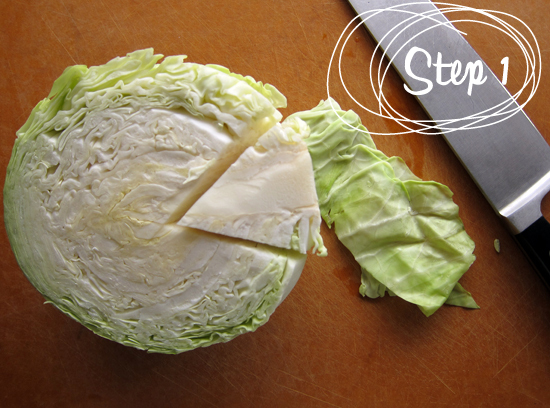 And maybe you want a tutorial on how to shred cabbage. Well, you are in luck! Over at Poppytalk, I make a fantastic apple cabbage slaw and show you the proper way to shred cabbage (no finger loss!). « hello, awesome party time with huaraches! I love those labels! the pattern is super my style. I wish I had a handle on Christmas this year…but I just keep putting it off! Thanks for these great ideas! What great homemade gift ideas! And thank you for the printable tags – I was just thinking about how to label some of the gifts I’ve made (vanilla bean sugar, lemon pepper rosemary sea salt) and ran into a major creativity block. These will work perfectly! Thank you and Merry Christmas! I love the gift tag idea. I find that if you add a personal touch like a homemade gift tag, it can make the most simple of gifts seem really special. Some of my favourite recipes have come from you. 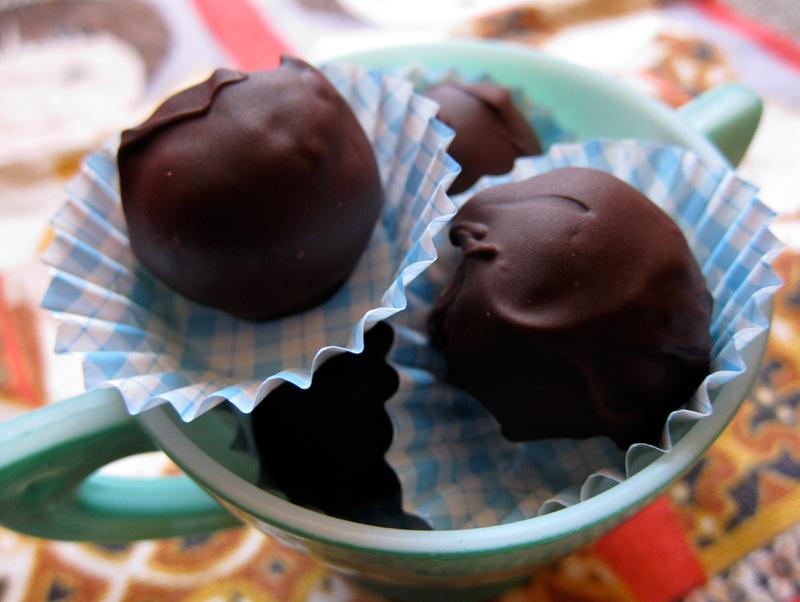 I’ve got your last post on this topic bookmarked because I always give out homemade gifts. This year I’m giving your caramel corn, granola, and a hot cocoa mix from Cook’s Country, but I was looking hard for a good one that didn’t use milk powder. We defo have some books in common, I read Colin Angus’ book on circumnavigating the world, and I see you read his wife’s! Do you read my books blog? This is a wonderful collection of treats! Your idea of decorating the tree with amaretto sours sounds like a great idea. I’ll keep that in my back pocket for next year 🙂 Happy holidays!! How did I miss Boozehound? Adding it to my wishlist. I love “The Shop Around The Corner”. Such a perfect holiday movie. So glad you’ll be using them, Amanda. Love to hear it! Norma, so glad to hear it! Thank you and happy holidays to you!! Lydia, hooray for homemade gifts – love your baking list! I’ve read your book blog on occasion, but I’ll have to add it to my rss feed since I love keeping up with new books! Decorating the tree + amaretto sours = perfection, NicoleD 🙂 It’s never too late for amaretto sours, though! Enjoy. Rachel, I’m sure you’ll love it! It’s a good read and because of that book, I’ve now got some crazy liquors in my cupboard. Next year, Sarah – that’s what happens when I’m such a slow-poke!! I’m all for sweets and baking but so far this season I’ve been quite lax about everything. I’m trying to watch the waistline and the budget but I can’t go completely without some sugar, right? Thanks for posting this, I will definitely be making some shortbread and maybe the marshamels for my nieces. I’m such a naughty aunt 😉 Speaking of books, have you read the book “Season to Smell: How I lost my sense of smell and found my way” ? I have borrowed it from the library but only 1/4 of the into it. So far so good. Great list of holiday goodies especially the confetti squares! OOo yes GoodReads!! I forgot to add you and will do that now. Though I’m kind of embarrassed of my list on there haha. I have read other books too this is just what I’ve been reading recently. awesome list, jeannette! those taggies are so cute too. butterscotch squares are like, one of my (many) cryptonites. holy dangerously delicious! funneee too that you were watching King Corn as they were cooling… yikes! Good luck with your holiday baking, Joanne! Yes, make those confetti squares – you’ll be the best aunt! And yes, I have that book on hold at the library – it should come in soon!! Renee, I hope you get what you want this holiday 🙂 Be good, now! Yay, Ashley, we’re now good reads buddies!! Thanks so much Lyndsay! Have a great holiday!! Some really good looking and tasty treats you have assembled there. Great ideas for some last minute gifts. I really enjoyed the book Boozehound, it really does make one want to expand their cocktail repetoire! Merry Christmas, and happy eating! Thanks Hag, happy christmas to you!!! Easy to do, but makes quite the impact.